I could hear the soft clip-clopping trots of the calesas on the centuries-old cobblestone pathways. Its rhythm was naturally hypnotic, as I stood amazed amidst the imposing stone buildings, the huge Capiz shell windows and the bells echoing from a distant church. I was right in the middle of this studded sixty four- hectare pentagonal heritage site that every Filipino is proud of, Intramuros, the walled city of Manila. This fortress, built in 16th century was the bastion of political, economic, religious & military power during the Spanish colonial period in the Philippines. It is laid out like a star composed several smaller forts designed to cover each other. Its thick & high walls made of stone served as the defense of the Spanish colony. Being back in Intramuros or “within the walls” was one walk through history I will never forget. Anticipating a challenging afternoon walk, we decided to kick it off with a buffet lunch at Barbara’s Intramuros Restaurant Café in Plaza San Luis. The ambience is set in old Manila during the Spanish colonial period. The streaks of sunlight from the huge windows created a wonderful drama on its ornate interiors. Food makes me weak & on this occasion I surrendered to Barbara’s gastronomic charm. No doubt, I had second helpings of rice! 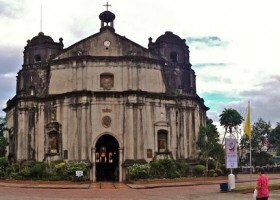 Just across Plaza San Luis is the oldest stone church in the Philippines, San Agustin. It was constructed in 1587 under the supervision of the Augustinian friars. For over 423 years, this edifice has been a witness to important happenings in Philippine history. It has been a reliquary of many religious & travel artifacts that narrate the battles won & lost, the coming & leaving of Spanish conquistadores, frailes & explorers. This place of worship has been the refuge of the weak & was the colony’s nerve center of the powerful few. At the center of the church complex is the beautiful garden that leads you to the church, numerous exhibit rooms, the monastery & tombs of famous Filipino & Spanish historical figures. Along the silent cloisters of the church are masterpieces of famous painters & sculptors. The museum of San Agustin Church reflects the wealth of Philippine history & culture. Walking under the heat of the Manila sun, we moved to Manila Cathedral, the seat of the Archbishop of Manila. During its 400-year history (from 1581-1958), the church battled several destructions brought about by earthquakes & fires. Interred in the cathedral’s crypts are the prelates of the Archdiocese. The façade of the cathedral boasts of statues of saints intricately sculptured in Roman travertine stone. 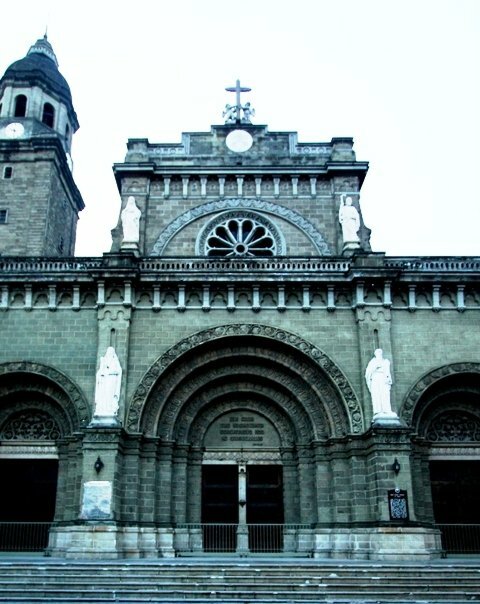 It was also on this cathedral that the former President, Corazon C. Aquino was laid & received her requiem mass. Just a few blocks away from the Manila Cathedral is one of the best sites in Intramuros that holds excellent national historical interest, the Fuerza de Santiago. To many, Fort Santiago is just all about Jose Rizal. But if one walks inside its fortified walls built in 1571, he would learn that it is more than that. This silent defense fortress tells the story of Spanish-era Philippines, its invasions & defenses, the rich spice trading history & the harrowing tales of Filipinos from pre-colonial periods until World War II. Fort Santiago most notably is the home of the relics of Philippine National Hero, Dr. Jose P. Rizal. In the middle of Plaza de Armas stands his statue, a reminder of how brilliant this man is. The Rizal Shrine holds most of the hero’s memorabilia including his famous works such as the novels El Filibusterismo, Noli Mi Tangere & publications of the La Solidaridad & his last masterpiece, the Mi Ultimo Adios. The tour of Fort Santiago ended in a breezy view of the Pasig River where just across it is the new & cosmopolitan Manila—chaotic & traffic jammed. From where I was seated on the cold centuries old stone, I could see the imposing condominiums & business establishments. I could feel the busy lifestyle of what’s outside this fortress. 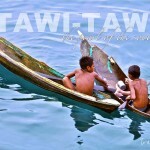 The Philippines has a rich history to be proud. We are humble of our glorious past & we take pride of where it has led us now. Experiencing Intramuros is just one of those emblematic cultures of what makes us as Filipinos. I am grateful to have revisited it & on its walls I imaginably wrote “Potpot estaba aqui”! By Taxi – From anywhere in Manila, taxis ply to Intramuros regularly. By Train – Drop off at Central Station of Light Rail Transit. Gentle reminder, it can be a long walk still to the area. Recommended to take a cab for the rest of the trip. By Water Taxi – Anywhere along Pasig, water boats ferry passengers to this area & stops at Plaza Mexico Station. Calesas or horse-drawn carriages are available for hire. Price ranges from P400-P500. Please discuss the route first & huddle the price. Best enjoyed by foot so you can feel the cobblestone pavements or touch the old city walls. For high-end dining, recommended are: Barbara’s Intramuros Restaurant Café, Plaza San Luis (across San Agustin Church). Tel. No. +6325272144; +6325272145. Ilustrado, along Gen. Luna St. (inside El Amanecer Compound). +6325273674. For not too pricey places, try Max’s Restaurant, Cabildo St., (+6325270532 to 33); Andria’s Taste, Muralla St. (+6325366427). For quick & budget meals, popular fastfood chains can be found along Andres Soriano & Muralla Streets. Jollibee (+6325270489/+632-5270505); Greenwich (+6325271682/+6325220331/+6325270615); Chowking (+6325271339/+6325272903). Starbucks Coffee, Muralla corner Magallanes Sts. (+6325274282). Best hotels can be found outside the walls of Intramuros. 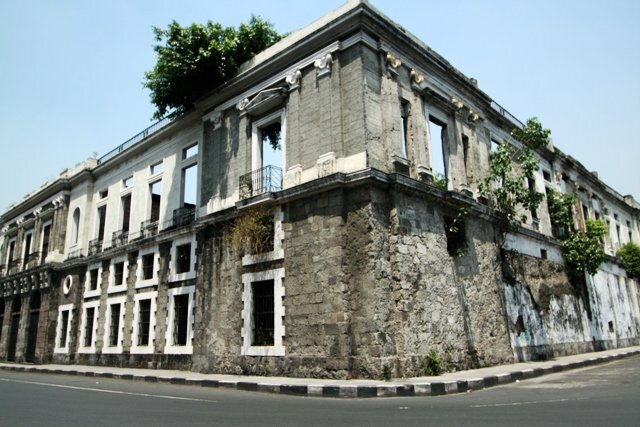 The nearest would be the old yet grand, Manila Hotel near the Rizal Park (+6325270011). Ermita, the nearest district is the best place to look for hotels from budget to major splurge. Recommended is Malvar Hostel along Gen. Malvar St. (+6325281000). For more information prior to the tour, it is recommended to pass by the office of Intramuros Administration 5F, Palacio del Gobernador, General Luna cor. Andres Soriano, Intramuros, Manila(+6325273138). 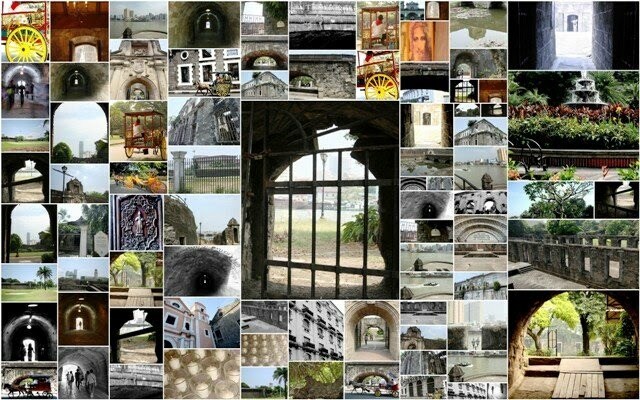 Special acknowledgment to Danni B. Fernandez for sharing some of his best shots of Intramuros.